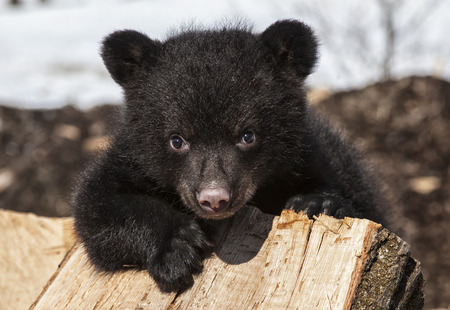 For those of us who grew up with images of animated bears obsessed with honey and acquiring more of it (Winnie the Pooh, of course), we’ve learned to associate the image of bears and honey with the ideal picture of cuteness and adoration. While this image is reminiscent of our childhood days, when the situation of a bear stealing honey translates into the real world, it can have consequences beyond having a funny story to tell later to friends and family at parties. For one Chesapeake, VA beekeeper, it was discovered that honey bear-thieves are considerably less than cute when running off with the goods. Around mid-August, a black bear wreaked havoc on the hives tended by veteran beekeeper Arnie Berg, with the intruder making off with about 70 pounds of honey. The bear caused excessive damage to the hives and stole several wooden frames packed with the honey/fruit of the honeybees’ labor. Finding great success with his first likely delicious haul, the black bear came back the following night for even more. The bear destroyed another bee box and fled with another 30 pounds of honey on several more wooden frames. “There were about 400 dead bees. I’ve never had it happen before,” said Barg, who keeps seven hives. “I have had honeybees in Great Bridge for the last 23 years without a problem.” While the loss of the bees is unfortunate, Barg believes the queen bee survived the attack, thereby ensuring the hives are still viable for future seasons. With beekeeping having been in his family for over a century—his father keeping bees in Ohio like his grandfather, going back as far as 1900—Barg produces around 400 pounds of honey per year with his hives, giving it to friends rather than selling commercially. With this generational tradition continuing onward, Barg and his wife Penny have installed a camera to monitor the hives for future nights, since the black bear who attacked the hives was likely still in the nearby Northwest River Park area where one was spotted around the same time as the attack. A wise bit of advice if our childhood love of Winnie the Pooh taught us anything.